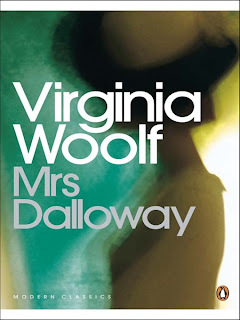 Mrs. Dalloway was my first journey down the rabbit hole with Virginia Woolf. At first, I plunged into dark recesses of Woolf’s mind and it was evident to me that she probably had very little friends, as she seemed to hate a lot of things about people. As the novel evolves, we learn the most about the two main characters – Clarisa Dalloway and Peter Walsh, two former lovers who now appear in their early fifties. Peter Walsh tried to marry her many years ago, but was revoked because Clarissa thought that a marriage would damage them, despite the fact that they were in love. Clarissa ends up marrying Richard Dalloway, whom she loves, but not in the kindred spirit way she did with Peter. Peter has several failed relationships with women under his belt, and a proposal to marry a wealthy and prominent girl from India. Woolf lets us know this information in between bits of trivial life information; though, in the trivial, we learn about the thought processes of the characters and obtain a deep understanding of what they’re like. Woolf does a marvelous job with character development with seemingly small pieces of information about minor events in life. Characters are real and whole, and not plagued by stereotypes or other simple tools. Their flaws are presented but not summarized and as a reader, you’re able to form your own decisions about the characters without Woolf intending you to feel one way or the other about them. At times, the text seems jagged and disconnected and as such, is not always an enjoyable read. The point of the work does not make itself evident to the very end and seems to be summed up a little too succinctly for my tastes, though I do like the message: “’What does the brain matter,’ said Lady Rosseter, getting up, ‘compared to the heart?’” The message is particularly relevant to me at the moment and follows up the message about love in Ben-Hur quite nicely, as well. 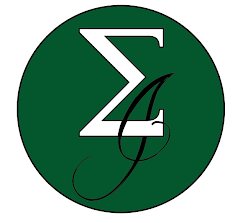 It brings us back to the age-old question – follow your mind or follow your heart? “’I will come up,’ said Peter, but he sat on for a moment. What is this terror? What is this ecstasy? He thought to himself. What is it that fills me with extraordinary excitement? Perhaps being terrified and excited to see someone is love? You would hope that the former would dissipate with time but the real question is if the latter does. Is love a constant excitement? Many questions brought forth by Woolf, and I suppose it’s our job as readers to debate the answers. On the whole, an enjoyable read which will eventually lead me to jump down Woolf’s dark rabbit hole again – in another work. P.S. It didn’t really fit in this mini-review, but both Clarissa and a shell-shocked Septimus had a way of viewing the world for it’s incredible beauty followed by its seedy underbelly. It was quite a thing to witness – and I felt as if these characters had some very similar traits with me. It leads me to question whether all truly passionate and observant people go through this. “And down his mind went flat as a marsh, and three great emotions bowled over him; understanding; a vast philanthropy; and finally, as if the result of the others, an irrepressible, exquisite delight; as if inside his brain by another hand, strings were pulled, shutters moved, and he having nothing to do with it, yet stood at the opening of endless avenues down which if he chose he might wander. He had not felt so young for years. “The compensation of growing old, Peter Walsh thought, coming out of Regeant Park , and holding his hat in his hand, was simply this; that the passions remain as strong as ever, but one has gained – at last! – the power which adds the supreme flavour to existence – the power of taking hold of experience, of turning it round, slowly in the light. I should mention that this is the obvious criticisms of the class structure and also and underlying disdain for the treatment of war veterans experiencing shell-shock and other war illnesses. Also, Mrs. Dalloway was bisexual... so this would have probably been pretty cutting edge in 1925.